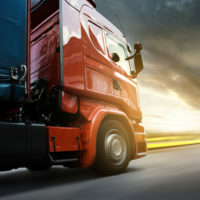 New research from the National Highway Traffic Safety Administration indicates that 18-wheeler trucks equipped with a collision avoidance system over a one-year period experienced no rear-end crashes with vehicles travelling ahead of them. This indicates that crash avoidance systems could be beneficial to help prevent trucking accidents all over the United States. If you have already been hurt in an accident like this, call a Daytona Beach trucking accident attorney. A rear-end crash involving a bigger vehicle like a truck can lead to multi-car pileups and big injuries. Often times, these accidents happen with little or no warning, so all cars in the immediate vicinity become a part of the accident, too. The size of trucks can also mean that an entire road is blocked while the accident is cleared. Individuals approaching the accident scene might not realize the blockage and cause further accidents. This is why it’s so common to see a trucking accident be the first issue in a chain of vehicle crashes on one road. The previous system to prevent rear-end crashes led to an 87% reduction in rear-end accidents and an 89% decrease in rear-end crash costs but the new system aims for 100% prevention of rear-end accidents. The results drawn from a study were evaluated after more than nine years of experience and more than 120,000 systems with 267 different fleets around the country. Trucking accidents can yield devastating injuries as a fully loaded 18-wheeler weighs more than 80,000 lbs. If a driver is not paying attention behind the wheel, is not properly trained or loses control of the vehicle, a trucking accident can lead to severe injuries and fatalities. As any individual who has lived through a serious trucking accident in Florida can tell you, the repercussions from this accident may never fully disappear. In fact, many accident victims who have survived a trucking crash in Florida may have to go through numerous medical treatments and suffer for many years. Individuals in the most severe of these situations will never fully recover from the accidents. Rear-end crashes are one of the most common ways that a trucking accident can happen. Since trucks have limited viewing capability, it is always important to stay safe on the road when you are travelling near an 18-wheeler. Bear in mind that 18-wheeler trucks have large blind spots and if you are present in a blind spot when the truck attempts to turn or change lanes, you could be crushed or have your vehicle stuck underneath the truck. Being aware and being mindful of these bigger trucks can help save your life and prevent injuries. If you spot a truck driver who is driving erratically or not following the rules of the road, many trucking companies have details on the back of the vehicle so that you can report that driver. Your report could be critical towards curbing that driver’s behavior and sending the message that safety is important to the commercial trucking company as well. If you’re on the road with a truck driver who doesn’t appear to be paying attention, it could be a good time to take a break and get off the road or to pass this vehicle so that you minimize your chances of being involved in a severe trucking accident. If you have already been involved in a trucking accident, you may have grounds for a personal injury claim in Florida. Personal injury claims involving trucking accidents can be very complicated as there may be multiple parties liable for the accident, including the driver of the vehicle, the company leasing the vehicle and the driver’s employer. Speaking with an attorney who has a demonstrated track record in handling trucking accident claims is vital to protecting your rights and ensuring that you have someone advocating for your best interests as a trucking accident personal injury case unfolds. Reach out to a Florida personal injury trucking accident lawyer today to learn more about how to protect your rights and what you need to do in order to file a case. Previous post: Should Truckers Have to Comply with Sleep Apnea Regulations?